Fans of both "Star" franchises are in for a treat this upcoming Monday on Star Wars Rebels. Another Star Trek alum is coming to a Galaxy far, far away. 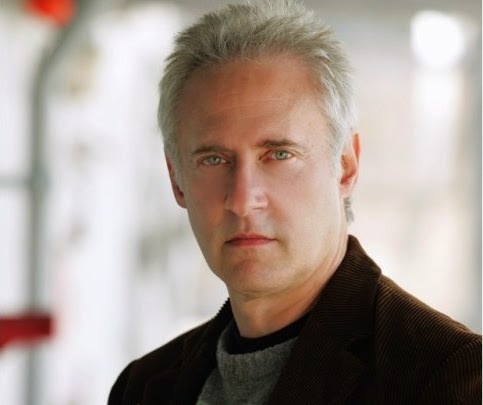 Brent Spiner, who's best know as Commander Data on Star Trek: The Next Generation, has officially joined the cast of Rebels. It was rumored earlier this year that the actor was involved. Now we've learned that Spiner will have a minor role in the upcomng episode "Rise Of The Old Masters". Scroll down to see details about his character, but be warned, SPOILERS are ahead! Brent Spiner will voice Gall Trayvis(pictured above), an exiled Senator who Hera describes as "the only member of the Imperial Senate with the courage to speak out publicly against the Empire." The character does not appear in person, or via Hologram. Rather, he interrupts an Imperial Holonet broadcast and reveals that Luminara Unduli is alive, thus setting our Rebel heroes off to rescue her. Our friends at RebelForce Radio were first to report the news. which was later confirmed by the credits for "Rise Of The Masters" which you can see below. Be sure to tune into the episode when it airs at 9:00pm ET/PT on Disney XD! Or you can watch it on Watch Disney XD right now if you're a Disney XD subscriber. Early reviews suggest it's going to be an incredible episode! Welcome to the dark side, Spiner. Good choice! its SIR CHARLES PHANTOM who stole the famous PINK LITTON! Someone alert Inspector Clouseau.... excuse me, I mean CHIEF Inspector.